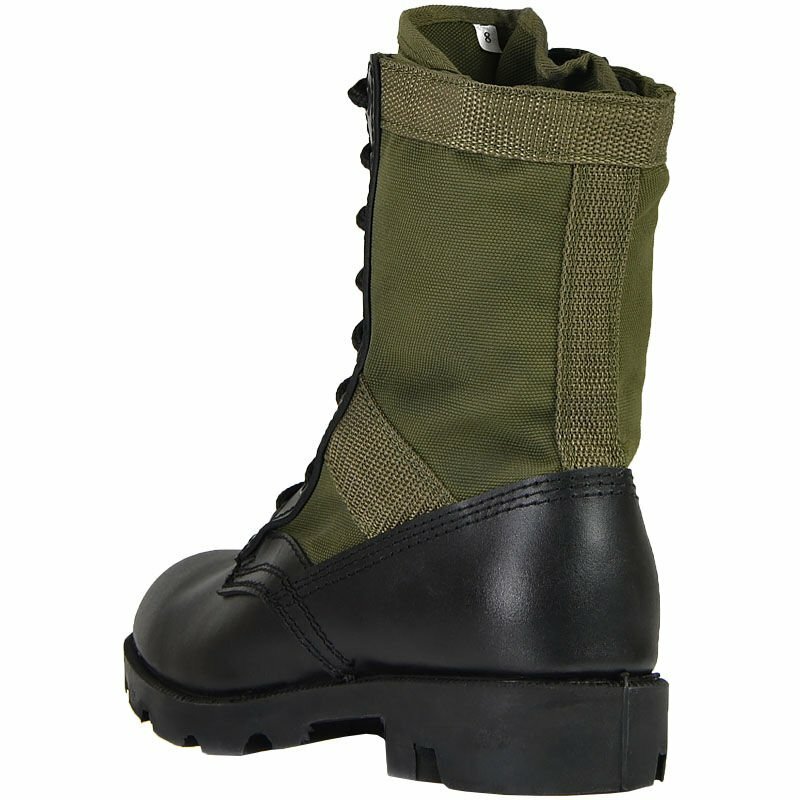 JUNGLE PANAMA' boots with reinforcement straps in the area of the Achilles tendon, ankle and upper part. 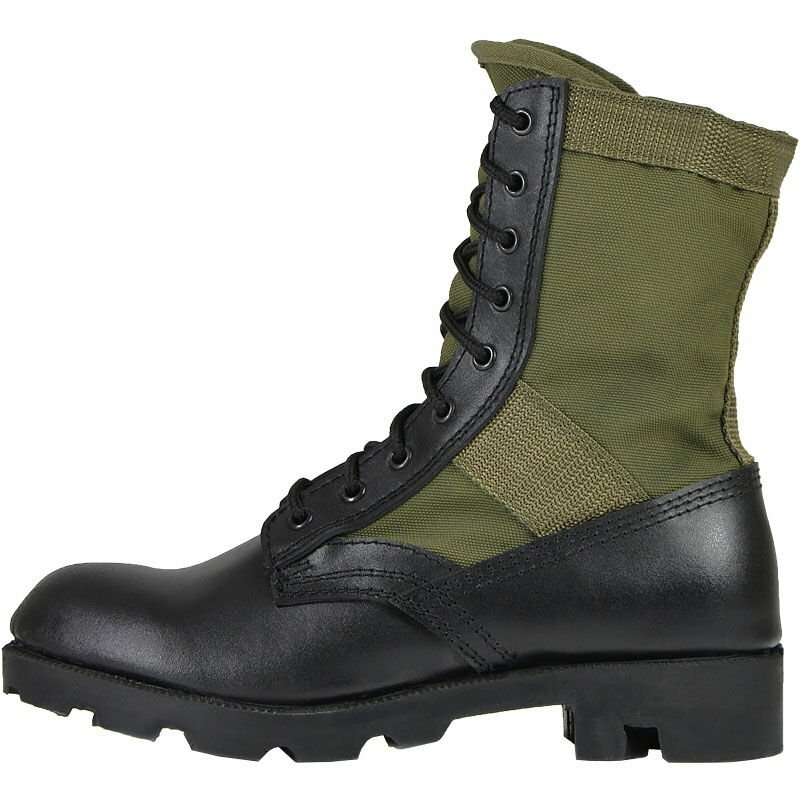 They are modelled on the shoes of US ARMY soldiers, who conduct the military operations in tropical forests. 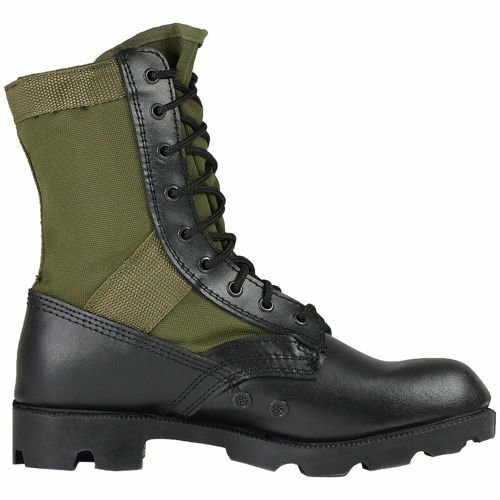 They are perfect for challenging hikes. 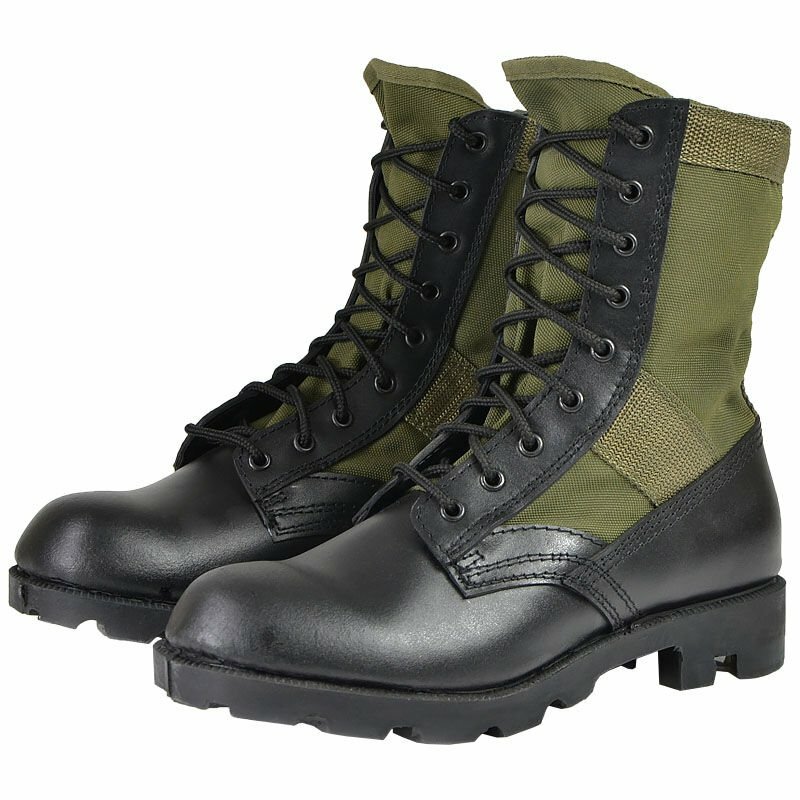 The boots are made of water-repellent Polyester with PU coating and thick cowhide leather (its regular maintenance and impregnation protects the interior from penetration of water). 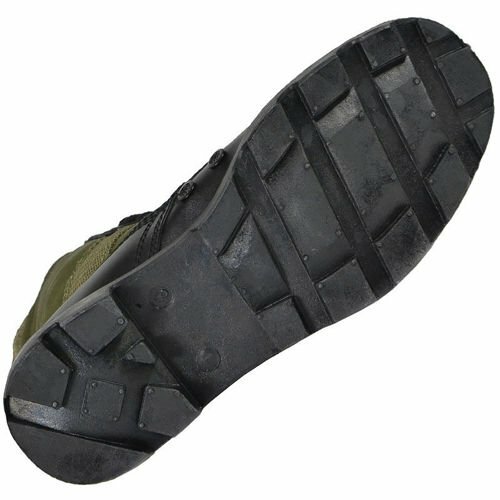 The insulating footbed of EVA foam keeps feet dry and warm, and the ventilation holes on the inner side provide a constant air flow. Jungle model is designed for the activities in the area of different structure and slope (wetlands, marshes, desert, and mud).